Our special system for Job is killing each others to get Honor Buffs. 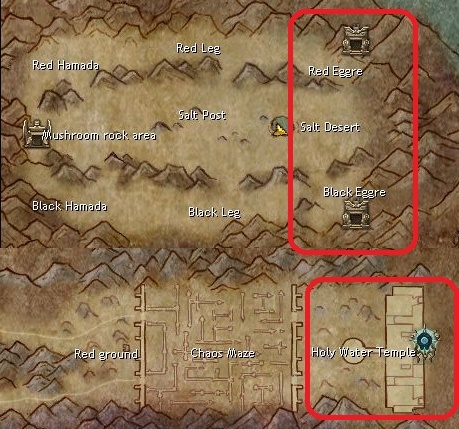 Simple, kill many thieves for a traders/hunters or kill many traders/hunters for thieves to collect points. You've a limit time to kill someone. You have 3 times to avoid cheating or farming ppls. And you can not kill your self as well, you'll get 0 point and a PM. The system will be refreshed every week to get endless wars and endless fun. So if u want to get honor rank, all peoples have a chance every week to get it by killing each others at wars. - 4th 15 players will get 1 ring. 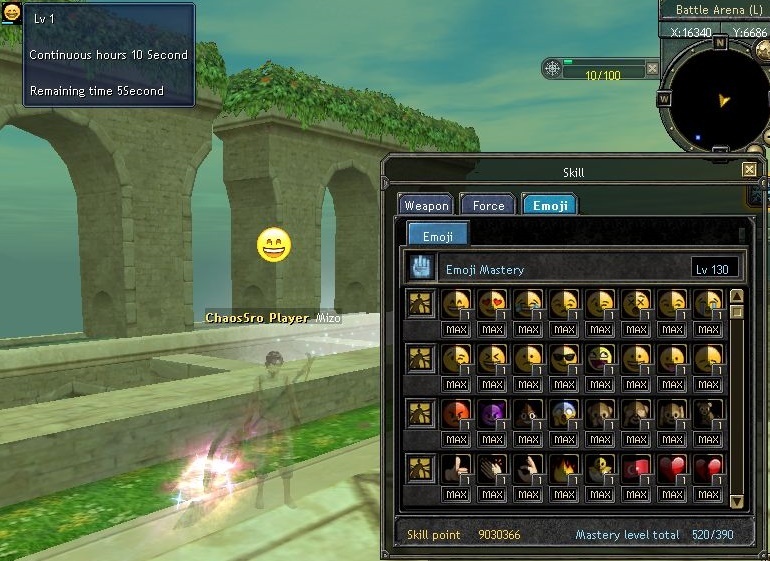 - Sun D1~D9 at NPC by 1 gold. * Any thing u gonna need you'll find it in the game. - Medusa now drop donate silks. 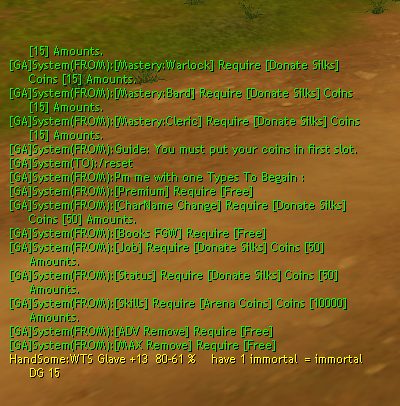 - Donate quest has been increased to 15. - Normal uniques TG-URU..etc has been removed. >> Special thank to izzoR. 5- How to get Donate silks (quest). -This event every 30mins all day. 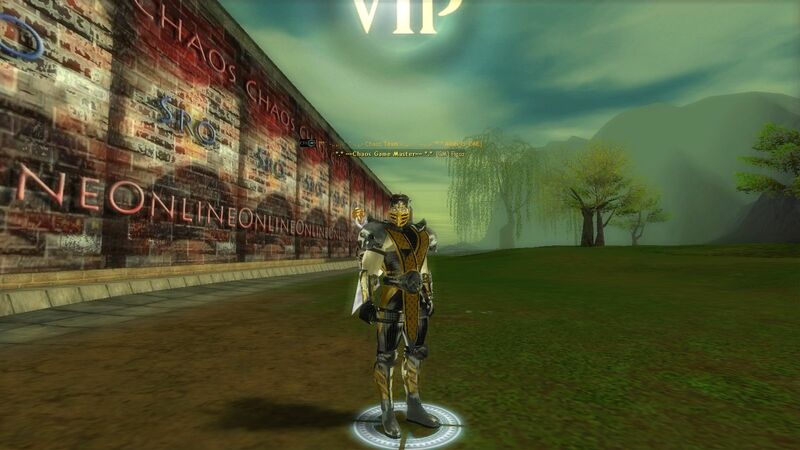 -To register at LMS event, pm char name [ChaosBot1] with [/reg]. 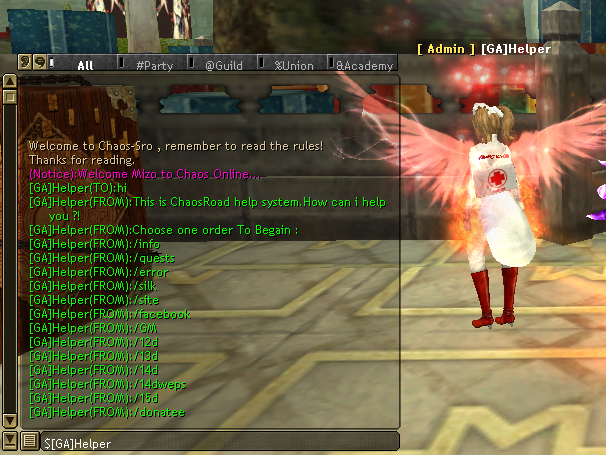 -To register at MW event, pm char name [ChaosBot1] with [/reg]. -The bot will choose one registered player to make him murder and teleport him to a place. -The murder player will try to run from all other people. 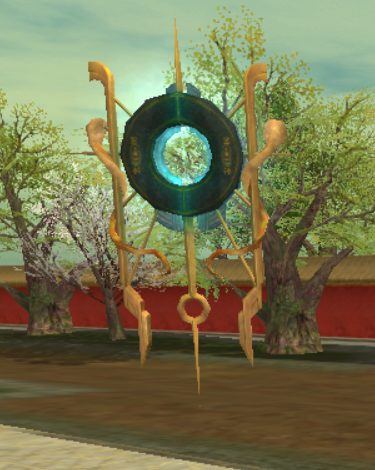 ** You'll find the reward in ur storage after u teleport once. - Every day at [8:00pmEGY-6:00pmGMT] time for 1H reward will be donate silk + more gold. Hint: after any trade you must restart to get your reward. And be sure that u have free slots in your inventory. - Roc at Roc Mt. 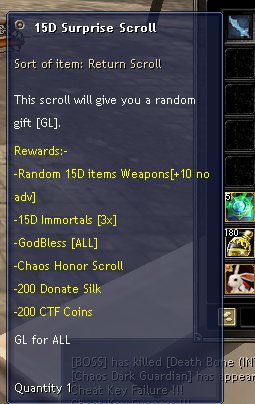 will Drop Surprise Scroll (100% rate). - Video to Get the Roc Key. 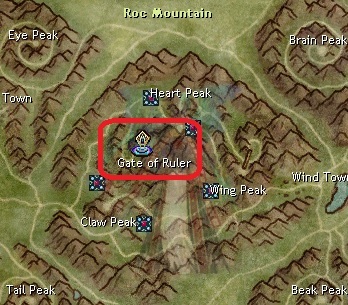 PM [GA]Helper with Hi and follow the steps..
- The key will be add at the NPC soon. 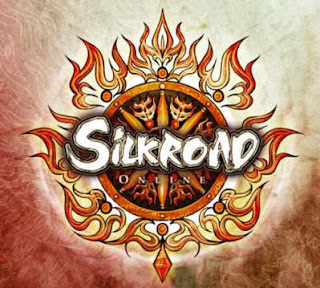 - Add a new shop sell some important scrolls/items+ Immortal 15D with this gift silk [not trade-able item]. 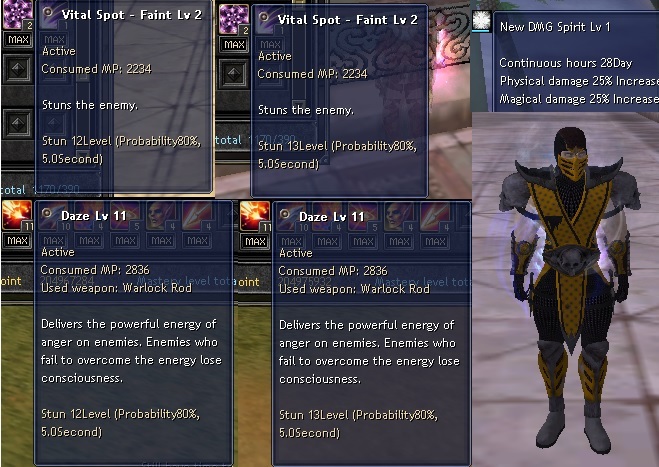 - [Plvl] char has been enabled at 1~115 room..
We introduce a new Normal Unique system. For more fun and more helping from us to all players, we just doing our best to create FUN from anything we have. Looking for the most recommended online slots casino? Then check out The #1 Online Slots Casino.